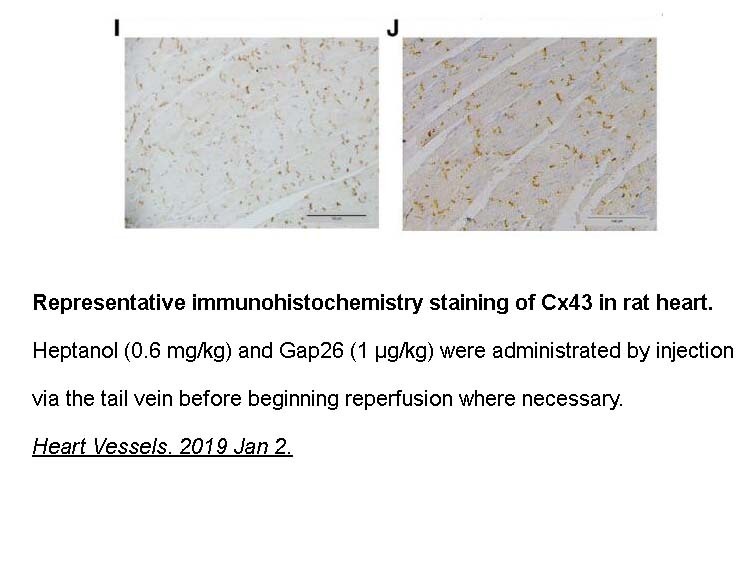 Description Gap26 (Val-Cys-Tyr-Asp-Lys-Ser-Phe-Pro-Ile-Ser-His-Val-Arg) is a connexin mimetic peptide, corresponding to residues 63-75 of connexin 43, which is a gap junction blocker. 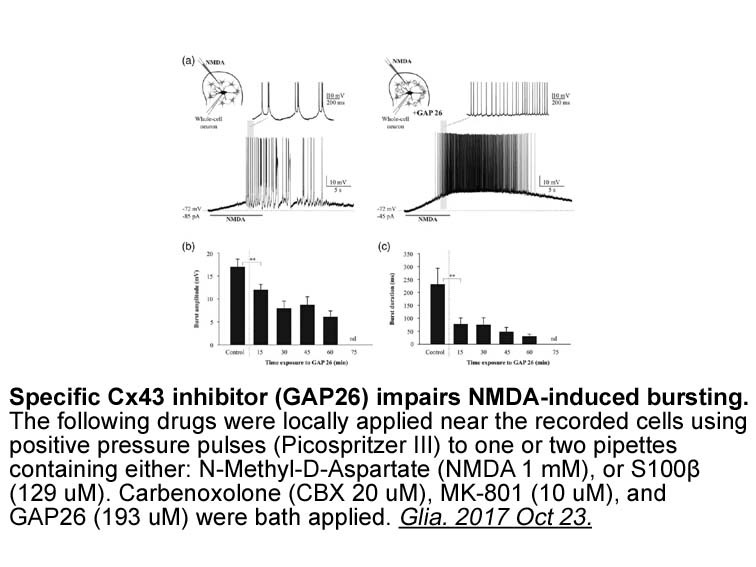 Preventing the InsP3-triggered calcium increase by ester loading the cells with the calcium chelator BAPTA reduced the InsP3-triggered ATP release back to the control level. 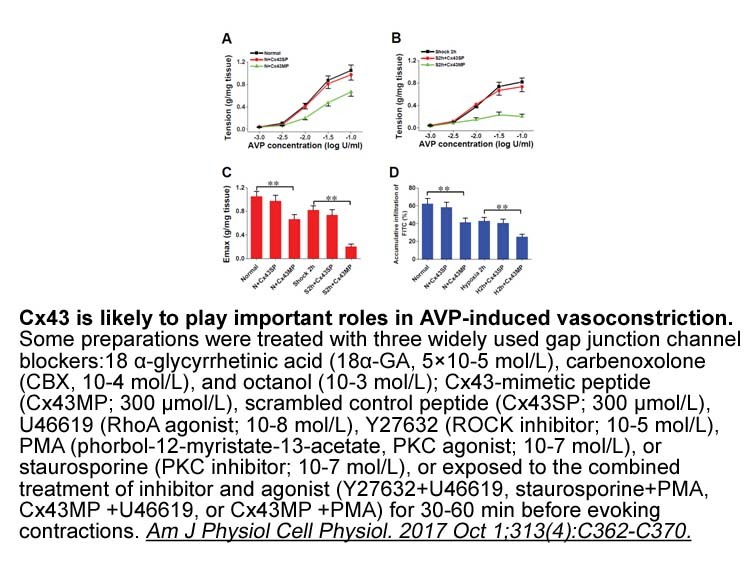 Incubation of the cells with gap 26 completely abolished the InsP3-triggered ATP response and reduced the ATP release to below the control level, indicating that the basal ATP release is also affected. 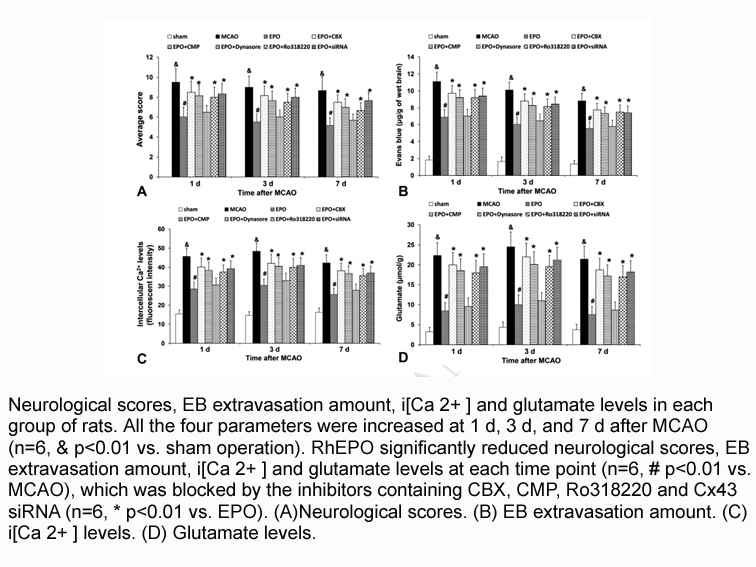 The rats were prepared with closed cranial windows 24 h before the study. A 10-mm-diameter craniotomy was performed over the skull midline. The dura was removed carefully to keep the sagittal sinus intact. An 11-mm-diameter glass window outfitted with three ports was glued to the skull using cyanoacrylate. The skin overlying the window was sutured, and the animals were permitted to recover. On the day of study, three stainless steel screws were inserted into the skull, along the periphery of the cranial window, for electroencephalogram (EEG) recording. Cannulae were then connected to the three ports. 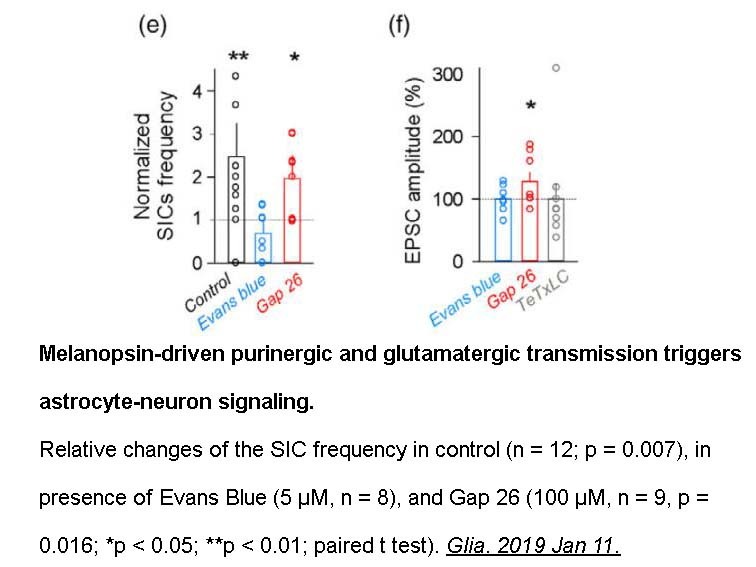 The rats were subjected to one of two neuronal activation paradigms: SNS or bicuculline-induced seizure. Following the initial measurement of pial arteriolar diameter changes during SNS or during bicuculline exposure, baseline conditions were reestablished. 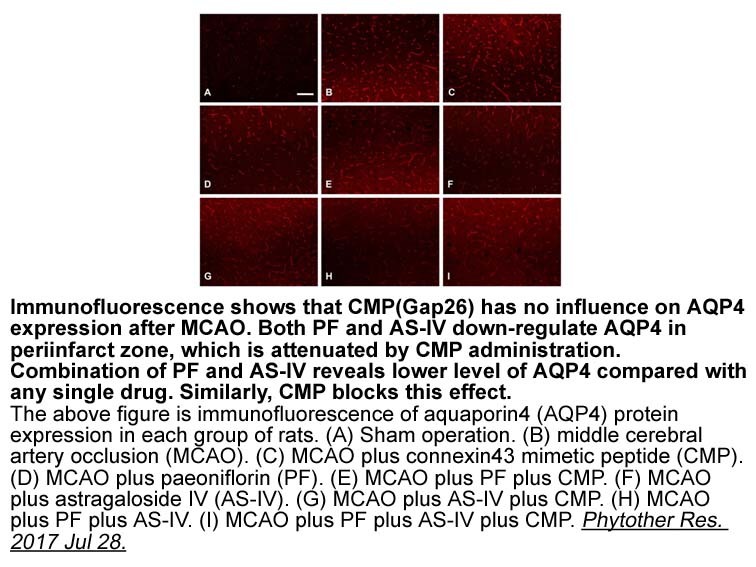 After 20 min, a suffusion of gap-26 was initiated. Forty-five minutes later, the neural activation was repeated. 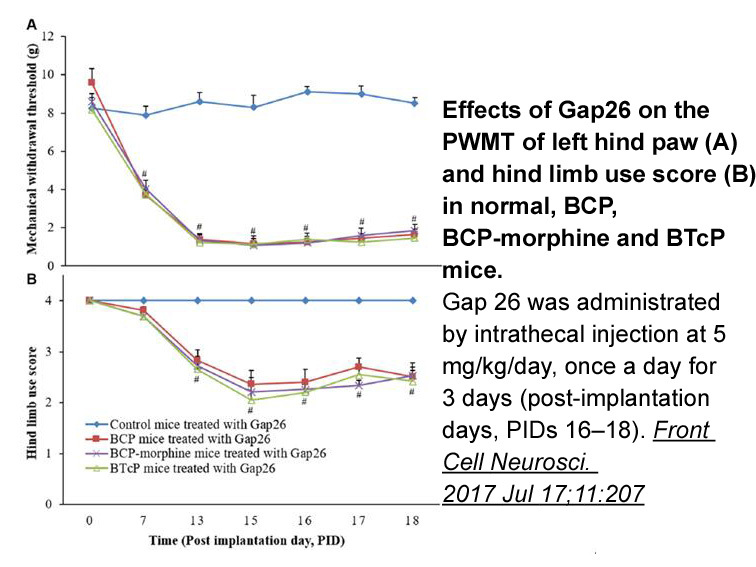 Exposure to the Cx40/Cx37 inhibitory peptide, gap-26 (300 μM), was without effect on bicuculline- or SNS-induced pial arteriolar dilations. 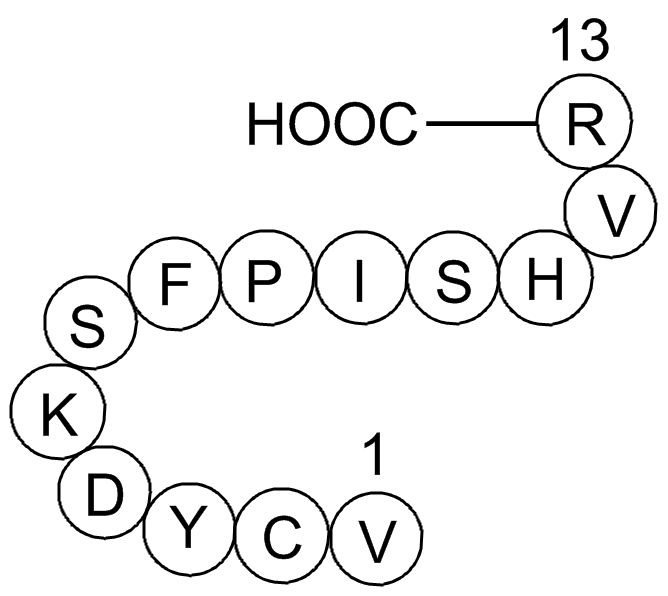 Gap26 (Val-Cys-Tyr-Asp-Lys-Ser-Phe-Pro-Ile-Ser-His-Val-Arg) is a connexin mimetic peptide, corresponding to residues 63-75 of connexin 43, which is a gap junction blocker.